The joint concert with the Boeing Employees Choir was held on Friday September 18th in Greyfriars Kirk in Edinburgh. 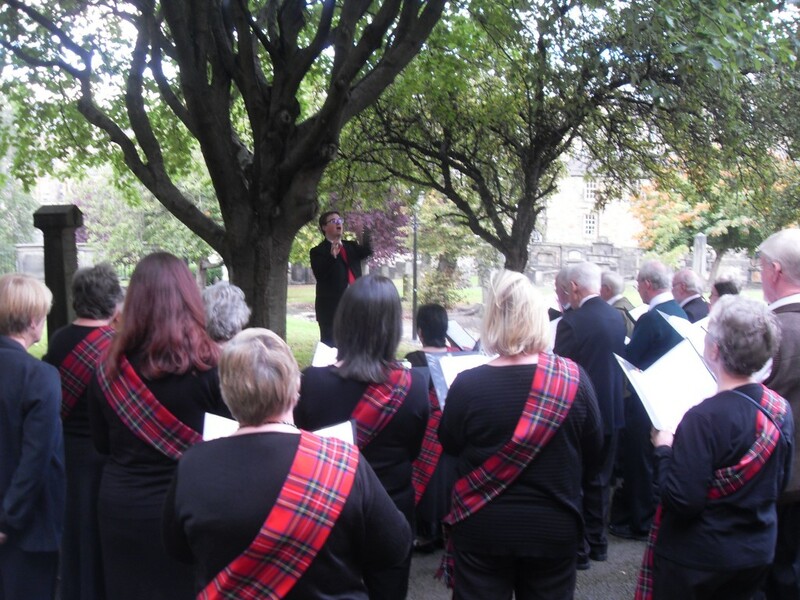 The choir warming up outside Greyfriars Kirk – much to the amusement of passing tourists! A collection was taken in aid of the Marie Curie Hospice which realised £300 plus a few US Dollars !